This book had me thinking about Amber Reynolds and her family for a few days after I had finished. She is an unreliable narrator due to the coma, and losing some of her memory, but also because she admits “Sometimes I Lie”. Amber is easy to relate to, her inner thoughts shared on the page as she is stuck in a hospital bed with no recollection of the accident that put her there. It is easy to rattle through the chapters which bounce from just before to just after Christmas (and the accident) with ease. There are also diary entries and memories from Amber’s childhood to help give an understanding of her mindset before everything happened. Amber can’t remember what happened so it’s obviously not going to be easy to figure out the truth while she’s stuck in a hospital bed. She has to try and piece together her memories to uncover who is responsible and who she can trust. It’s easy to dislike and distrust every character in the book for one reason or another. Amber doesn’t know who she can trust, and as a result we don’t either. It is clear that Amber tells lies from page one, but revelation after revelation continues to shock and complicate the story further. At one point I needed to put the book down to think about everything before I carried on reading. I loved how the story became more complex with each revelation. Other unreliable narrator storylines can seem to pull information out of thin air to reveal the truth, but this book messes with your head whilst leaving clues to the truth scattered throughout. At one point I thought there was a continuity error, but later I realised it was a truth buried in lies. 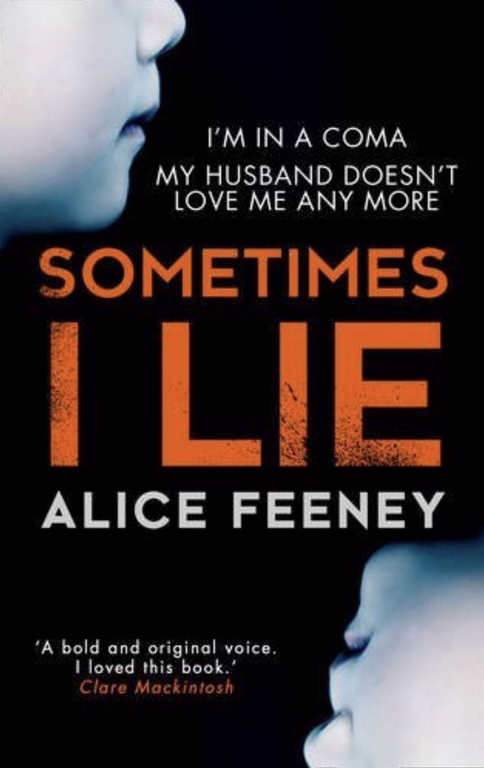 Sometimes I Lie will leave you thinking about what really happened long after you put the book down. I loved it!